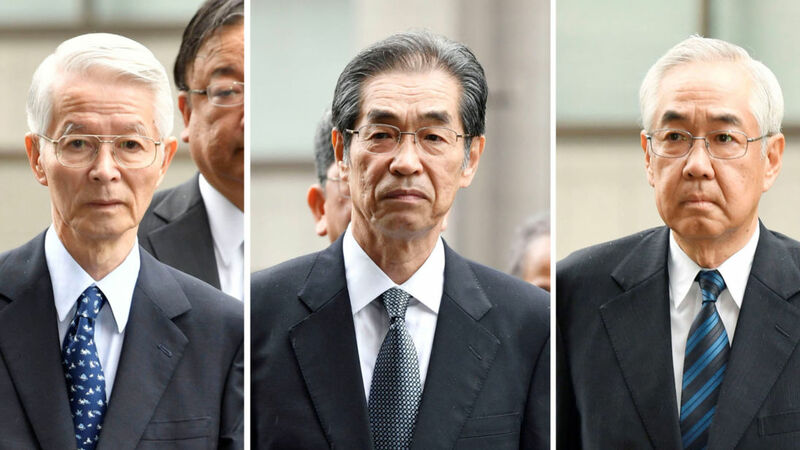 Three former executives at Tokyo Electric Power Company (TEPCO) have gone on trial facing charges relating to the 2011 Fukushima disaster. 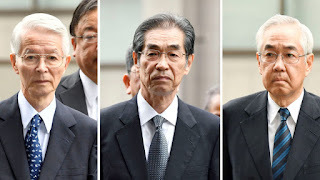 Former chairman Tsunehisa Katsumata, 77, and former vice presidents Sakae Muto, 66, and Ichiro Takekuro, 71, have pleaded not guilty to charges of professional negligence resulting in death and injury. A massive 9.0 magnitude earthquake on 11 March 2011 sent a huge tsunami sweeping across Japan's northeast coast, triggering waves up to 14 metres high. The Fukushima plant was badly damaged after waves engulfed reactors' cooling systems, releasing harmful radiation and prompting mass evacuations of nearby towns and villages in the worst atomic accident since Chernobyl in 1986. The charges against the three TEPCO executives are linked to the deaths of more than 40 hospital patients who died after being hurriedly evacuated from the area. The prosecutor said he would try to prove that the three defendants were able to foresee the risk of a huge tsunami and failed to take necessary steps to counter the risk. Katsumata said in court: "I apologise for the tremendous trouble to the residents in the area and around the country because of the serious accident that caused the release of radioactive materials... but I believe I don't have a criminal responsibility in the case." The men, who are the only people ever to face charges in connection with the reactor meltdowns, face up to five years in prison or a penalty of up to one million yen (£6,857). Around 18,000 people were killed in total in the tsunami, although the Fukushima accident itself is not officially recorded as having directly killed anyone.